This morning when I woke I was somewhat surprised to see there were a couple inches of snow on the ground. It really changes my short commute to work...how I ride a bike. 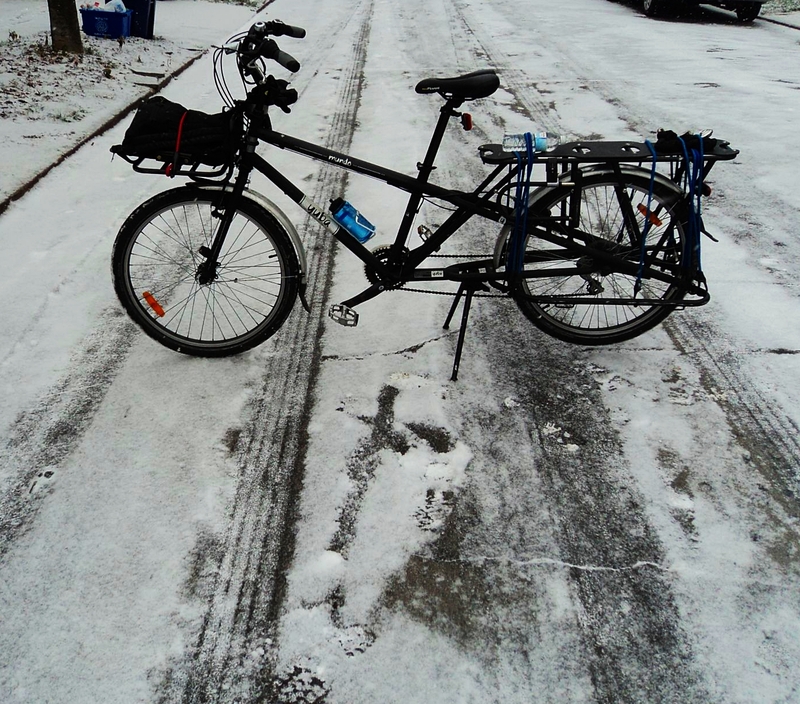 Interestingly, for as big and heavy as the Mundo is, it is not my favorite bike to ride in the snow. In this this light snow it isn't difficult, but in the really deep and heavy stuff it can be tough to maneuver. That said, this area of the world has had it really easy this winter, by this time of the year we've usually had at least a couple lake effect snows. I'm not complaining, just an observation...but I have to admit I have been liking the cold air...it feels refreshing to me; bracing (and you don't sweat while riding). To give you an example, take a look at this photo I took exactly two years ago today...the bike was parked in nearly the same spot as the one pictured above is. Anyhow, I worked another split shift today, and on my return to work in the evening I chose to walk rather than pedal. 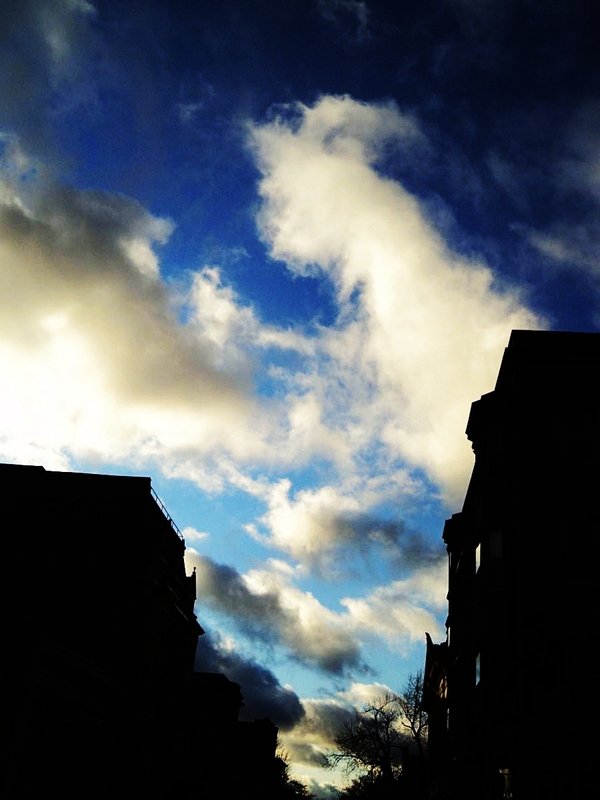 And on the way I was taken by what a beautiful winter sky was overhead...it looked so big to me as clouds rushed past. Here's a photo.